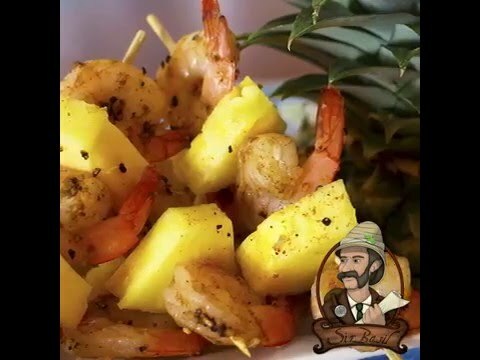 TSTE® Jamaican Jerk, a very flavorful blend created with a wide array of Caribbean spices, turns ordinary shrimp skewers into an exciting appetizer in just a few simple steps. These quick skewers are full of exotic flavors! Jamaican cuisine is largely inspired by West African and Arawak tribe influences. The native Arawak people of Jamaica harvested maize, potatoes, peppers, and fruit such as papayas and guava. In the late 1400s, Spaniards brought West-African slaves to the Caribbean and along with them a variety of peas, beans, sugar cane, and citrus- as well as their native languages. The flavors found in our Jamaican Jerk Spice Blend pair well with sweet island fruits, coconut milk, and meats for barbecue and grilling. PEEL and devein the shrimp (or buy peeled and deveined with tail on). SAUTÉ shrimp in butter until fully cooked. TOSS cooked shrimp with TSTE® Jamaican Jerk Spice Blend. Place in a bowl in the refrigerator and allow the flavors to meld for 2 or more hrs (overnight is ideal). REMOVE shrimp from the fridge. ADD ingredients to a skewer, rotating between shrimp and pineapple cubes. SERVE with lemon wedges for additional citrus flavor. *Skewers can also be grilled if desired.